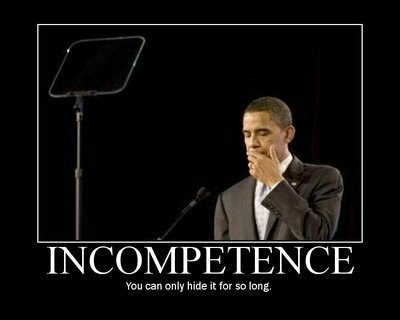 If Obama truly didn't know about the corruption and incompetence in his government - it's too big. A few months ago I told the American people I did not trade arms for hostages. My heart and my best intentions still tell me that's true, but the facts and the evidence tell me it is not. That was one scandal, once. The Clintons got away with this defense one time in the Whitewater affair, where Hillary had no idea where the Rose Law Firm records had been hiding before they magically appeared next to her private office in the White House residence. Even Slick Willie knew he couldn't get away with that a second time. No, he just plain had to lie about his sordid relationship with Monica Lewinsky and hope for the best. It stretches credulity to think that the United States was spying on world leaders without the president’s knowledge, or that he was blissfully unaware of huge technical problems that threatened to undermine his main legislative achievement. But on issues including the IRS targeting flap and the Justice Department’s use of subpoenas against reporters, White House officials have frequently given a variation on this theme. Question: What did Obama know and when did he know it? Answer: Not much, and about a minute ago. The urgent requests for more security help by our nation's diplomats in Benghazi, until they were already under active terrorist attack. Any CEO who allowed this many newsworthy incompetencies to occur on his watch would have been booted out long ago. Yes, in the legal sense, Mr. Obama may not be directly responsible for these failures. Also, there's certainly no secret recording in which he commands that the Benghazi embassy staff be left to die, or ordering guns to be given to Mexican psychopaths. Once upon a time, though, leaders of organizations large and small felt a moral responsibility to make sure bad things didn't happen below them: they recognized that not knowing about evildoing was no defense, because as the Big Cheese, it's their job to know enough about what's going on to prevent evil in the first place. Maybe the leader needs to pick more ethical and competent department heads, maybe he needs to give more all-hands speeches promoting an ethical culture, maybe he just needs to be more curious about the reports passing across his desk, maybe he needs to go out and see what's being done. Whatever: if you're the guy wearing the crown, everything is your responsibility. Without that fundamental rule of high office, we get Enron. Of course, nobody in the media would compare Barack Obama with Kenneth Lay, and the federal government is several orders of magnitude larger than Enron at its peak. What's more, unlike Mr. Lay or any other CEO in the world, the President doesn't have the power to fire anyone other than a handful of political appointees at the very top. So it's unreasonable to hold him to the same standard that the law does for corporate executives. So, Bring On the Real Shutdown! Instead, the almighty all-encompassing ignorance of Barack Obama, known to all and sundry as the most brilliant man ever to grace the Oval Office, proves one truth with crystal clarity: If he can't do the job... nobody can. Therefore, if not even he can do it, we need to change the job. Keeping the Federal government on the straight and narrow is just too big and complex a job for any one man no matter how well endowed. That's because the Federal government is just too darn big: out of simple common fairness, we must immediately move to cut it down to a more manageable size. Harry S. Truman spoke for many of his successors when he said that “the pressures and complexities of the presidency have grown to a state where they are almost too much for one man to endure.” And that was decades before metadata technology came along. Since the past few weeks' revelations show that even the 17% shrinkage of the misnamed "shutdown" left the government too big to manage, clearly the cut needs to be far more than that. A good place to start would be with a balanced budget: we're borrowing about 1/3 of what we spend. If we stopped doing that and lived within our means, the government would automatically be 30% smaller. Maybe Mr. Obama could handle a government of that much-reduced size. And if not? Then we need to whack it again, and again, until he's able to adequately administer what's going on in his own bureaucracy - or at least be aware of it. When Ronald Reagan pled absentmindedness and forgetfulness in the Iran-contra affair, we now know he was suffering from the early stages of Alzheimer's disease. What's Mr. Obama's excuse? What did President Obama know and when did he know it? The answer is that he has black skin, Which does not fit in White House. He has to work within a system - democratic? And the system is suffering from the last stages of a disease-Intoxication of being only super power. Hope message is home? Hobbes: No hurting meant,Why you are so kind to Mr.Nixon? why we don't quit the automatic spending increases and the spending by 1% each year for 10 years is beyond me. That should be a non partisan solution to an ever growing nightmare. The liberals could keep their programs and the conservatives (if there are any) could bring the deficit under control. Of course in DC why let logic enter the conversation.